It’s the end of a long day at work and you make your way to your car, parked in your company underground parking lot. You get back to your car to find out that someone has reversed into the back of your car and left a lot of damage. Immediately you see bright red and a million angry thoughts cross your mind, including the most horrible of curses befalling the driver who did this to your car – like a thousand scorpions infesting their armpits. If they left you a note, or worse, escape the scene as a Hit-and-Run driver, you have to search for evidence, like a modern day Sherlock Holmes. Whether the offending driver stuck around, left a note, or has illegally left the scene (Hit-and-Run), check for witnesses. Odds are good that someone saw the driver that hit your car. 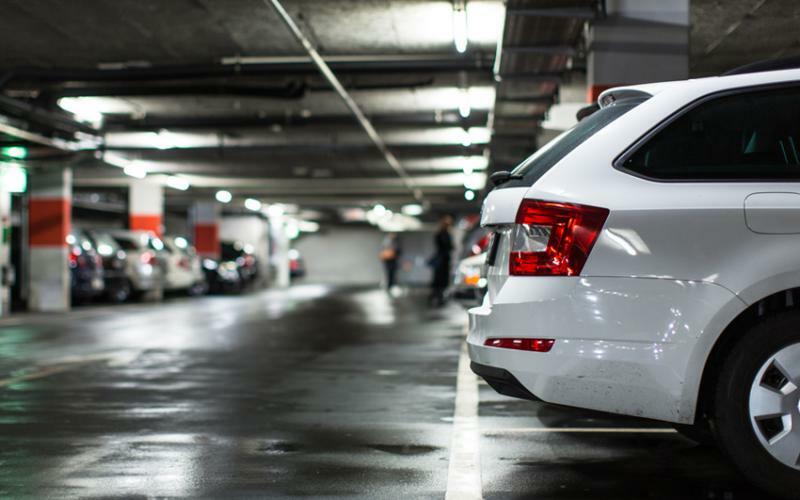 Ask pedestrians, retailers or residents near where your car was parked if they saw someone hitting your car, or just remembered cars parked near you. A witness might be an actual person or one of the estimated 40,000 surveillance cameras monitoring Perth. While it’s rare that they’ll be able to make out the license plate from a grainy video, at least finding the size and colour of the car can help locate a Hit-and-Run driver. Take pictures of the damage to the car/s and the license plate number of the other car (if possible) – not just to show your mates to get their sympathy. Taking these photos of the damage, the positions of the vehicles in relation to the car park and any other relevant details can also assist insurance claims. If the other driver is there, and they provide their driver’s license details, you should take a picture of their driver’s license too. It will make sure you have all their details for the insurance companies – and also let you and your mates shamelessly mock the face of the person who damaged your car and caused you so much stress. File a claim with the other driver’s Insurance Company for the damage to your vehicle. In most cases this will have no impact on your own insurance premiums as you are the not-at-fault party. If the other party has comprehensive car insurance with free hire car on the policy, you may be eligible to get a hire car on their policy. Companies like Right2Drive can help with getting you back on the road while the other driver’s Insurance Company repairs your damaged car. You have a plan now, but you still have to get home and you can’t drive your car in this condition. You’ll damage your car further and it would be illegal and unsafe to drive with. Thankfully you have comprehensive car insurance, and you now need a tow from inside this cramped underground carpark. How is a standard tow truck going to get in here to pick up your car? Lightning Towing Service is the company to call on 1800 TWO TOW or (08) 9225 5440, as we have specialised tow trucks for exactly this purpose. Lightning Towing can go where other companies cannot go, including low heights spaces and do underground car park vehicle recoveries with our low clearance American-style wheel lift trucks, small and nimble tilt tray trucks for tight spaces and 3-degree angle loading trucks for lowered vehicles. Our specialised trucks can handle the tricky vehicle recoveries that other companies cannot match.